Originally designed to satisfy the exacting demands of the aerospace industry, the panels are now specified for a wide variety of other applications and environments where operational integrity and clarity of presentation are essential requirements. Originally designed to satisfy the exacting demands of the aerospace industry, our panels are now specified for a wide variety of other applications and environments where operational integrity and clarity of presentation are essential requirements. Paramount Panels, in close cooperation with the aerospace industry, have developed the technology and processes to enable the integration of sun-light-readable annunciators/Indicators employing LED’s into their range of illuminated panels. The benefits of this advancement include a significant increase in reliability compared with components using incandescent filaments, savings in weight and cost and a reduction in overall envelope size. Our integrated sun light readable annunciators is a similar technology as employed in our automobiles, typically the oil-warning lamp, therefore it’s not seen unless lit. Symbols, text or single colour indicators can be incorporated, or a combination. Can be incorporated in all panel types, including Tactile Keyboards. Luminance variation curve of the LED annunciators can be matched to other lighting systems within the application, i.e. Incandescent. 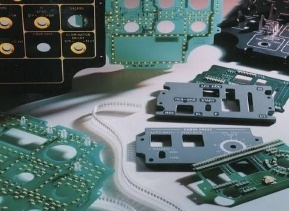 Therefore, mixed lighting technologies can be utilised within the panel assembly. Circuitry configured for lighting redundancy. Integrated auto dimming facility if required. Contact IPP for advice and further information. Resulting from the expertise developed in the fields of lighting and switching technology during our long association with the Aerospace, Defence and Commercial Industries. Paramount Panels is able to supply a comprehensive range of panel systems with integrated switches. 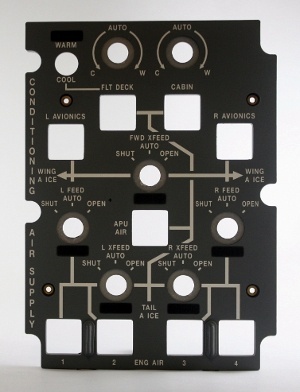 PPIUK integrated key switch panels employ “state of the art” Panel and Switch techniques and provide total packages which satisfy the stringent environmental and operating requirements of major Military and Aerospace specifications, including relevant portions of MIL-DTL-7788H (Formally SAE AS 7788 & MIL-P-7788). PPIUK Integrated Switch Panels are front sealed against the ingress of dust and moisture and incorporate high reliability switch components providing positive tactile and audible feed-back. 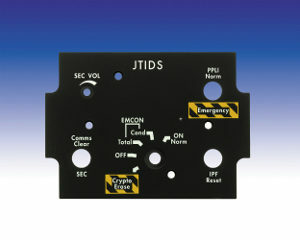 Control and Switch functions may be identified by means of illuminated caps with panel text, and a variety of optional lighting sources being available for this purpose, these being Light Emitting Diodes (LED), incandescent and electroluminescent (EL). Our Pillar-Lights and Bridges require no introduction, as in non-NVG compatible configurations, they have been in service for many years. 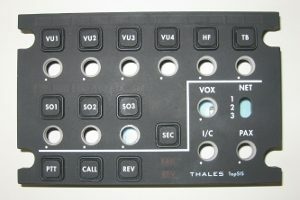 NVG compatible versions of these ranges are readily available and provide a direct replacement facility, which is of particular relevance to cockpit conversions. Within our range we also offer direct NVG Compatible lighting caps to fit many other manufactures bases. Post Lights are also available in Standard incandescent lighting versions, with illumination colours in Clear, Red, Green and Amber. Short and long stem versions available. For some applications, spatial or other considerations may prevent pillar-lights or bridges from being mounted in ideal positions and this, coupled with the relatively low transmission of their integral filters, may result in inadequate illumination. With the object of over-coming this problem, Paramount Panels have introduced the concept of NVG Compatible Lighting Bezels. Essentially, these are designed as external sources of illumination for instruments, which have no (or have non-compatible) integral lighting. Paramount Lighting Bezels are planar devices which incorporate a central aperture through which the face of an instrument can be viewed. Illumination from filtered light sources accommodated within the body of the bezel is directed onto the surface of the instrument through optically designed facets in the wall of the central aperture. In order to simplify attachment, bezel-fixing holes are positioned to coincide with the instrument mounting holes. The minimal thickness of the bezel (nominally 6.0 mm) and it’s external shape, which generally follows the contour of the instrument case, restricts to a minimum any interference with the viewers’ line of sight. Flying leads are normally provided for the purpose of electrical connection, it having been established from experience that this method is usually preferred for lighting conversion applications. Paramount Panels is a leading lighting supplier with over 50 years of experience in the Defence, Aerospace, and Communications Markets. The choice of LED’s in a Surface Mount configuration enables panels for Aerospace and Military applications to be manufactured in accordance with the requirements of MIL-DTL-7788 (Formally SAE AS7788) for Type VII panels. In applications where extended life, reliability or limited power consumption are significant factors, LED’s may present a useful alternative to more conventional systems of lighting such as incandescent filament lamps. PPIUK LED SMT Technology can be incorporated into our complete range of panel products, including Tactile Keyboards, and can also be used in many other lighting applications. Luminance variation curve of an LED illuminated panel can be matched to other lighting systems, i.e. Incandescent. Therefore, mixed lighting technologies can be utilised within the application. Integral Secret-until-lit annunciators/indicators with sunlight readability can be incorporated. Contact the factory for advice and further information; we are here to serve you. Power Supply 5V DC or AC 28V DC or AC 115V Other voltages can be catered for. All standard LED colours can be used, i.e. White, Green, Yellow, Red, Blue, & Amber. Along with IPL Red, IPL White and NVIS compatible. Paramount Panels serves the aerospace industry in the manufacture of integrally illuminated panels. 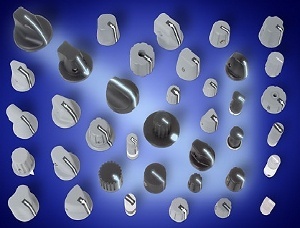 We manufacture to rigid military and commercial standards. Our business philosophy stresses quick, professional response to our customer needs, facilitated through a system of defined process controls that assure a finished product that meets or exceeds your requirements. 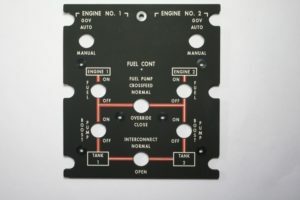 Paramount Panels has been a leader in the design and manufacture of lighting products for the modern cockpit since the mid 1950’s. Our team skills include design, cockpit integration and customer support for a complete turnkey operation. We offer a complete refurbishment process that is cost effective with quick delivery. Conveniently located near London, Paramount Panels relies on over 35 years of experience of refurbishing edge lit panels in commercial, corporate and military aircraft. We can confidently provide the quality, capability and service you demand and expect. Lives can depend on reading instruments, so it is important that control panels be clear and accurate. 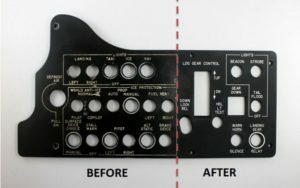 Paramount Panels has built a reputation on refurbishing control panels for the aerospace industry. If required, modifications can also be incorporated, including update to NVG compatible lighting. Paramount Panels, offers a service for the repair and service of all types of illuminated panel types by REFURBISHMENT to meet your specific requirements. Paramount Panels UK capabilities in designing and manufacturing illuminated control panels meeting the requirements for night vision compatibility is one of our key specialities, and our dedicated team of engineers and product managers can help and give free advice with any requirements that you may have. 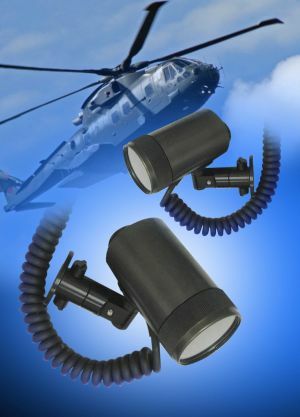 In conjunction to our illuminated panel ranges (Class 1, NVIS Green A), we also produce a comprehensive range of NVG Compatible lighting devices, which have been developed to satisfy the diverse requirements, associated with cockpit conversions and new installations. 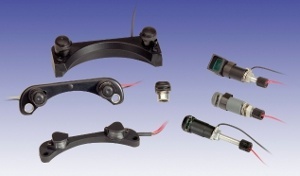 These include Pillar/Post lights, lighting Bridge Assemblies, instrument lighting Bezels and indicator lights. Our compliance to NVIS standards can be demonstrated and reported using our in house Radiospectrometer, and our other comprehensive range of test equipment. We also can integrate annunciators or indicators within the panel design with independent circuits, where their illumination being controlled from the panel lighting circuit board, Type VII. 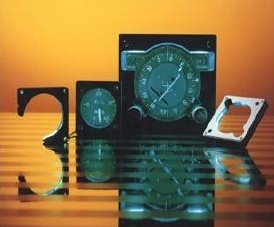 Where these annunciators are sunlight readable meeting the requirements of MIL-PRF-22885G, and MIL-STD-3009. All NVIS Colours that can be utilised, and even text within the annunciator window can be incorporated as secret until lit characters. Chinook, Lynx, Bell 214, 412, Sea King, 109E, Super Puma, Puma, Tiger, MRH90, C130, Tornado, F5, F18, Jaguar, etc, etc. Post Lights are also available in Standard incandescent lighting versions, with illumination colours in Clear, Red, Green and Amber. Short and long stem versions available. For some applications, spatial or other considerations may prevent pillar-lights or bridges from being mounted in ideal positions and this, coupled with the relatively low transmission of their integral filters, may result in inadequate illumination. With the object of over-coming this problem, Paramount Panels have introduced the concept of NVG Compatible Lighting Bezels. Paramount Panels offer a wide range of NVG Compatible products which, although providing “State of the Art” techniques appropriate to new installations, also cater for the diverse requirements associated with the conversion of existing equipment. 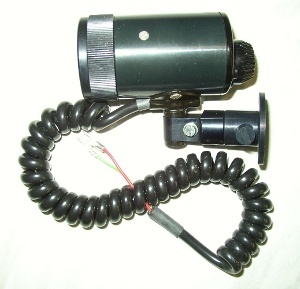 Primarily designed for map reading and general floodlighting without compromising NVG operational flight safety, the self-coiling flexible supply lead is attached securely to the body of the light and the mounting is constructed so that the light may be snapped out of the socket and used as a torch over the length of the lead. 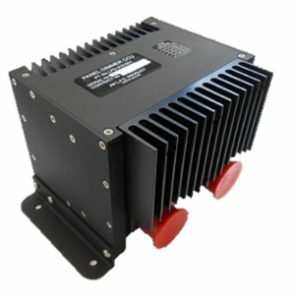 This new light operates from 28V DC supply, weighs only 230g and illumination is achieved by a LED’s that produces a white, NVIS compatible light output meeting the requirements of Mil-Std-3009. A rear-mounted control knob provides dimming control, from dim to full brightness and an instant push to full brightness function. Spot or floodlight operational function is achieved by a front twist bezel. Other options include standard white or coloured illumination and NVIS Green A or B. Mounting is compatible to MS17245 / MS17246 and PAN6742. The Paramount Panels Incandescent Cockpit Utility Light combines the functions of a fixed spot or floodlight with that of a portable hand torch. The supply is by self-coiling flexible lead attached securely to the body of the cockpit utility light. The mounting is so constructed that the light may be snapped out of it’s socket and used as a torch wherever the extended length of flexible lead will permit. The light can then be snapped back into its original setting in the mounting. The unit has a maximum working rating of 50 volts d.c. and is normally equipped with a 3.5 watt 28v M.C.C. lamp and gives a red or white beam in the standard configuration, with either spot or overall projection by rotation of the front bezel. Continuous rotation of this bezel is provided in either direction, there being no stops to jam or break due to careless handling. A conveniently shaped knob is provided at the rear of the unit to control brightness of the lamp and gives an “OFF” position. At any position of the dimmer, full brightness can be obtained by finger pressure on the top of the knob. Lamp replacement is effected by removing the front lens which is kept in place by a spring circlip. No tools are needed for this operation. 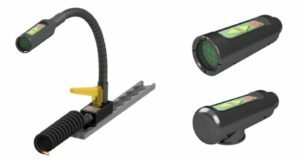 Night vision compatible versions are also available, NVIS Green A or B, and NVIS white which allows the unit to be used for map reading, in all cases for the NVG versions the internal red filter is removed. 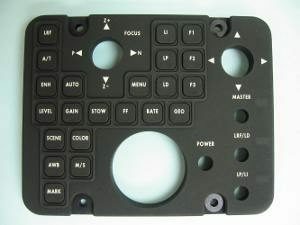 For NVG units, please contact us for part numbers. Chartroom light (Red filter without focus device): part number 03-0130. Chartroom light (as 80/10/1200 but with extended mounting arm): part number 03-0132. Paramount Panels is a leading lighting supplier with over 50 years of experience in satisfying demands of the Defence, Aerospace and communications markets. In applications where extended life, reliability or limited power consumption are significant factors,LED’s may present a useful alternative to more conventional systems of lighting such as incandescent filament lamps. Our Pillar-Lights and Bridges require no introduction, as in non-NVG compatible configurations, they have been in service for many years. 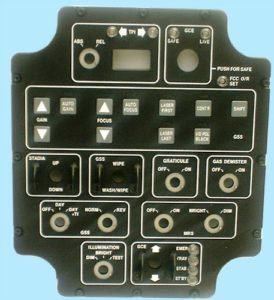 NVG compatible versions of these ranges are readily available and provide a direct replacement facility, which is of particular relevance to cockpit conversions. Within our range we also offer direct NVG Compatible lighting caps to fit many other manufactures bases. Post Lights are also available in Standard incandescent lighting versions, with illumination colours in Clear, Red, Green and Amber. 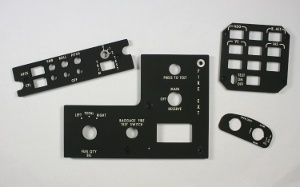 With the object of over-coming this problem, Paramount Panels have introduced the concept of NVG compatible lighting bezels. Essentially, these are designed as external sources of illumination for instruments, which have no (or have non-compatible) integral lighting. The minimal thickness of the bezel (nominally 6.0 mm) and its external shape, which generally follows the contour of the instrument case, restricts to a minimum any interference with the viewers’ line of sight. Flying leads are normally provided for the purpose of electrical connection, it having been established from experience that this method is usually preferred for lighting conversion applications. Often in applications within the aerospace and defence industries there is a need to illuminate instruments and controls by external means. Paramount Panels UK offer a cost effective and user friendly solution by means of a lighting bezel. Originally developed for use in the NVG conversions of Aircraft, they now specified by users for new installations in Aircraft and fighting vehicles. For some applications, spatial or other considerations may prevent traditional Pillar/Post-lights or lighting bridges from being mounted in ideal positions and this, coupled with the relatively low transmission of their integral filters, may result in inadequate illumination. With the object of over-coming this problem, Paramount Panels have introduced the concept of NVG compatible lighting bezels. Essentially, these are designed as external sources of illumination for instruments, which have no (or non NVIS compatible) integral lighting. Paramount panels Lighting Bezels are planar devices, which incorporate a central aperture through which the face of an instrument can be viewed. Illumination from filtered light sources accommodated within the body of the bezel is directed onto the surface of the instrument through optically designed facets in the wall of the central aperture, therefore illumination of the instrument is projected from around the periphery giving an even lighting solution across the face. The minimal thickness of the bezel (nominally 6.0 mm) and its’ external shape, which generally follows the contour of the instrument case or group of instruments, restricts to a minimum any interference with the viewers’ line of sight. Flying leads are normally provided for the purpose of electrical connection, it having been established from experience that this method is usually preferred for lighting conversion applications. 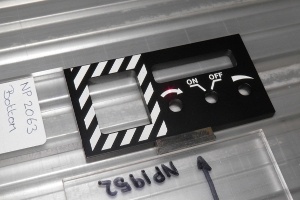 In order to simplify attachment, bezel-fixing holes may be positioned to coincide with the instrument mounting holes. Lighting sources include LED, Filament lamps and I/R black lighting, or combinations. Other benefits can include integral indicators, e.g. “WARNING” or even Symbols as often used in the vehicle market. The indicators can be secret-until-lit (Dead front) if required, likewise other front located text can be incorporated, similar to information panels. Supplementing our illuminated panel product range is an accompanying range of control knobs, many of which may be lit by the transference (or transilluminated) of light from the panel itself. The range we can now offer is one of the world’s largest, many of which are recent designs, and therefore are applicable for today’s application. Moulded normally in clear substrate and appropriately finished to match the panel, and allows constant handling with minimal wear. 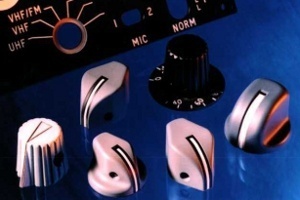 We also offer a range of control knobs for use on concentric dimmers and dials can be supplied according to specification, which are usually attached to the base of the knob. EHC’s (Electronic Hardware Corporation) 30 years plus pedigree in the design and manufacture of control knobs, coupled with our own experience in the panel market provides our customers with an extensive selection of military control knobs, thus bringing solutions to all applications, at very competitive prices. 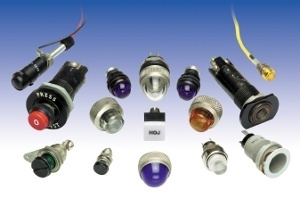 Manufactured in accordance with all relevant military standards, the product portfolio includes not just Transilluminated Knobs but also acomprehensive range of non-illuminated versions manufactured in a variety of materials. Night Vision Compatible Versions are available across the complete range. New Variants: Unique manufacturing moulding methods provides low cost tooling. Indicia Variants: Configurations include traditional white, specials, and frosted clear. Knob Colour: FED-STD 595 all colour numbers, and to customers own requirements. Indicia Illumination: In accordance with military specifications or customers own requirements. Paramount Panels and EHC are able to cross reference most part numbers from other suppliers, and we are able to offer new designs and variants if required. Paramount Panels manufactures a comprehensive range of lighting and airborne components. Many of which have been used by the defense and aerospace industries for many years and are associated with reliability and dependability. With the advancements in lighting techniques Paramount Panels have strived to implement new technology across the range, and we can offer night vision compatibility across most lighting components. Avionic and Defence Simulator systems panels and assemblies PPUK design and manufacture a comprehensive range of flight simulation solutions including Information control panels and assemblies for the Civil and military professional simulation market. Our dedicated design team have gained over many years extensive knowledge and experience in all aspects of the requirements required for the professional simulation market, with cost-efficiency being a critical element, but maintaining quality, service life and functionality. 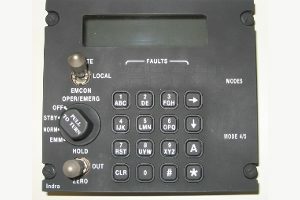 Our product portfolio and capability is very varied and includes not only flight deck control panels and assemblies but also custom designs. We specialise in producing and supplying products that meet the customers’ expectations and needs at the best value, maintaining the required aesthetics along with fit, form and function. 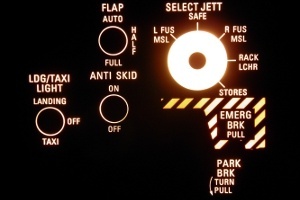 PPUK Simulation products include edge lit panels and back-lit panels, switch bezels, integrated keyboards, Master Warning Panels, Caution Warning Panels, Indicators and Assemblies. Lighting is normally achieved by Utilising LED’s for long operational life, and we can provide NVIS lighting options across our full range of aircraft simulator products. 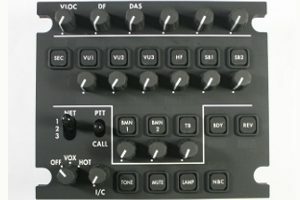 A range of self-contained solid state PWM dimmer controllers are now available from Paramount Panels UK for installation on fixed wing or rotary aircraft, fighting vehicles and other applications. These devices have multi channels which can be configured for PWM and Analog lighting circuits, allowing the user to interface with up to 10 independent inputs, or 9 with a master control. Operating outputs providing 5V and 28V drives, 400Hz. Supply +22V to +32V DC, maximum current 6A. Maximum current per channel 2A. Paramount Panels UK is now able to offer an adjustable LED Gooseneck Light, suitable for a range of uses including as both a medical and map reading light. A flexible neck, which comes in a variety of lengths, allows the LED Light to be easily positioned, and its simple 3 button control means it is just as easy to use.